What Could a Trade War Mean for the Cold Storage Industry? With the Trump administration applying tariffs on goods imported into the United States and several countries from China to Mexico countering with tariffs of their own on American exports, how might changing trade winds impact the cold storage industry? Certainly reporters and political pundits are looking for a story, as the Department of Agriculture’s monthly cold storage report showing current stocks of refrigerated and frozen goods hasn’t received this much attention in years. But the real impact may be harder to discern. That’s because accounts of warehouses thriving with stockpiles of meat, dairy and produce are offset by stories of farmers scaling back growth and production — and, in some cases, canceling shipments to cold storage facilities who previously handled shipments to countries with newly increased tariffs. 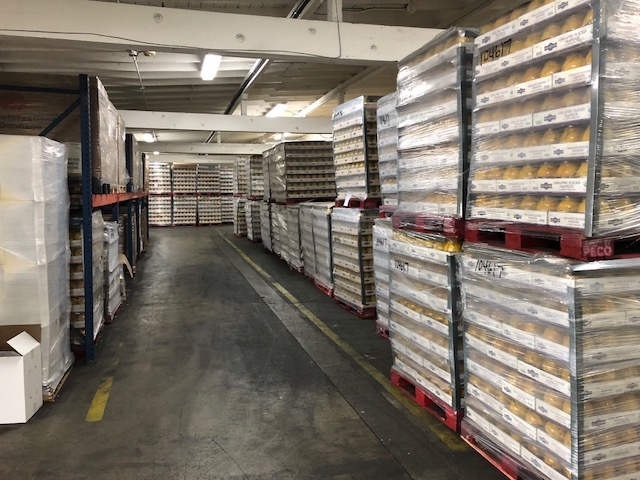 As some interpret this month’s report from the National Agricultural Statistics Service, cold storage warehouses are packed to the rafters. Last month, warehouses had enough turkeys to feed every American family on Thanksgiving — and enough pecans to let them enjoy three slices of pecan pie for dessert, according to The New Food Economy. And while cold storage facilities have enough orange juice concentrate (74 million gallons) to replace the total daily water use of Washington DC residents and enough meat of any kind to give every person in the world a quarter pounder of something, if other accounts are to be trusted, this may only be a short-term surplus. One cold storage facility manager in North Carolina told NPR daily pork shipments headed for China suddenly “just stopped” due to fallout from the tariffs. China increased its tariff on pork to 62 percent (after a hike to 25 percent in April). Several reports have found farms starting to scale back investment in meat and dairy production and rethinking their business models. But Corey Rosenbusch, president of the cold storage industry group Global Cold Chain Alliance, says any problems suffered by warehouses does not appear to be widespread and that demand for cold storage has continued to increase, despite the tariffs. “Our members are not reporting any impact from the tariffs at this point,” Rosenbusch told NPR last week. Will cold storage demand outlast a trade war? Time will tell. But one thing’s for sure — both sides of the political debate will be checking inventory until the rhetoric cools down.